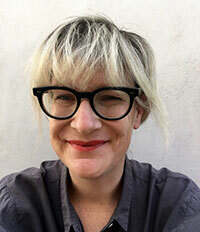 Louise Hornby is an associate professor in the Department of English at UCLA, where she teaches a range of courses on modernism, photography and film. Her research and teaching are interdisciplinary, drawing from literary studies, art history and film studies. She is the author of Still Modernism: Photography, Literature, Film (Oxford University Press, 2017), which is about the significance of photographic stillness after the invention of motion pictures. She has also published on the role of stillness in the films of Fiona Tan. She is currently working on two new projects. The first, provisionally titled Bad Walks, is about hampered, awkward, or difficult walks in film, centering on the catastrophe of tripping and falling. The second is a project about the visual culture of weather in the 20th century. She recently published an excerpt from this project called "Film’s Atmospheric Setting." Hornby received her B.A. from Reed College and her Ph.D. in comparative literature from UC Berkeley.